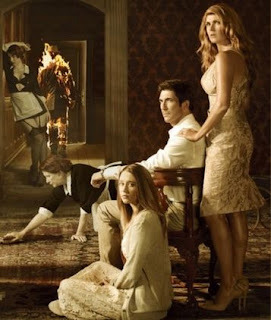 American Horror Story Fan: Are Leo and Teresa Dead or Alive? Are Leo and Teresa Dead or Alive? "who says they’re dead? I’m not saying they’re dead. I think you’ll be pleasantly surprised. The 2012 connection is really related to something and someone in 1964 Briarcliff, and you find out that in upcoming episodes for sure." So what do you think? Do you think Leo and Teresa are still alive? Could they survive so much? Or could they possibly be playing some kind of trick? I still think Leo might be presenting his fiancée with the gift, like I said in the episode two recap. Looking forward to hearing your theories on this... Tell us what you think in the comments area.